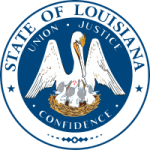 A Louisiana parent who wants to pay for child support can register and apply for child support services online. We have come up with a guide that will help you learn how to find your way around the website. Once you log in, you can make payment. Step 2: Enter user ID and password and then click login. Your password may be difficult to remember once you forget it as it is unique. You should not share with anyone for security purposes and thus you have to reset it if you forget. Step 1: Click the phrase as shown below. Step 2: Enter your email address and then click Next. Step 1: Click as shown to enroll. Step 2: Read the opening statement and then tap Next. Step 3: Tap the button as shown. Step 4: Fill the details as required, checks the box at the bottom and click the create account button. If you have a noncustodial parent who is not paying for child support, you can log in to your account and apply for child support services online to enforce an order. Also, you can use the platform to pay or receive support depending on whether you are the custodial or noncustodial parent.